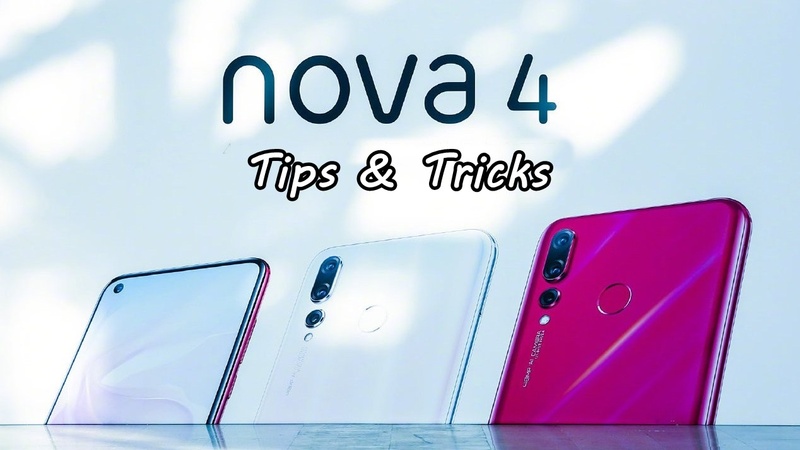 You will be able to Learn Best Huawei Nova 4 hidden Features, tips and Tricks That You Must Check Out. Today we are here with Detail guide on Huawei Nova 4 features. As we all know, it’s not the hardware specs alone that define a phone. The software also plays an important role in making it a complete experience. As the Nova 4 is OLED it offers a display on the home screen even when the phone is inactive. However, this is off by default and not found in Display settings. Instead: swipe down from the top of the home screen > hit the settings cog icon > select Home Screen & Wallpaper > Always on Display. This can be scheduled to start/end or be on all day, as desired. One of the few unfortunate things about Nova 4 is the amount of bloatware that comes pre-installed. When you turn on the phone you will find apps for eBay, Booking.com, Instagram, and Netflix. Although you are likely to download at least a few of these apps anyway, we would prefer if Huawei allowed us to choose the apps we like to have on our phone. While most of these apps can be uninstalled, a select few can only be disabled. To uninstall apps, long-press the app icon and drag to the Uninstall tab located on the top right side of the notification bar. After that, you just need to click OK in the pop-up window to approve the process. When you can’t uninstall an app, Android gives you the option to disable it. Disabling an app puts it to sleep and doesn’t allow it to run in the background. It also erases any data and updates, restoring it to the factory version. To disable an app, go to Settings > Apps & notifications > Apps. Tap on the app you wish to disable and select Disable. If the app is running, you may need to select Force Stop > OK before disabling the app. swipe down from the top of the home screen > hit the settings cog icon > Security & privacy > Face recognition. Follow the process and you’ll be up and running in under a minute. On the Nova 4 , this will wake the device upon pick up and can unlock the phone by verified face – even in the dark. swipe down from the top of the home screen > hit the settings cog icon > Security & privacy > App lock. This will present a list of all installed apps. Any can be selected to ‘locked’ which will require a verified fingerprint to open a said app. One of the first phones to offer a fingerprint scanner under the screen (and no physical one on the front/rear), multiple fingerprints can be registered: swipe down from the top of the home screen > hit the settings cog icon > Security & privacy > Fingerprint ID. If you’ve set a PIN/pattern this will be required, then registration is possible. Multiple fingerprints can be added by selecting New in-screen fingerprint. Swipe down from the top of the home screen > hit the settings cog icon > select Home Screen & Wallpaper > Magazine Unlock. Here you can select pre-designated image banks, which are categorized or add your own gallery. A different image will show each time you activate the phone. The HUAWEI Nova 4 comes with a massive battery that supports HUAWEI SuperCharge, but that’s not all. There are a few knobs on the EMUI that users can turn to maximize use time on their phone. First of them is the power saving mode. The default power saving mode limits background app activity, email refresh rate, and visual effects to realize up to two days of usage. There’s also an “Ultra” mode that imposes a stricter control over apps to provide up to seven and a half days of uptime on a full charge. In addition, a smart resolution option is hidden in the Display that automatically scales down the resolution (from FHD+ to HD+) for improved efficiency when the battery is low. Secondly, users can automatically optimize the device by tapping “Optimize battery usage” in the Battery menu. Within a few seconds, EMUI will generate a list of suggestions that, on your command, can help you extend your battery life. Last but not least, you can use a darker interface to save power on the HUAWEI Nova 4. Since the HUAWEI P20 Pro uses an AMOLED panel, it displays black simply by turning off the pixels, saving energy while giving the users deeper blacks than current LCD panels can possibly attain. The notch on the Huawei Nova 4 creates a pretty crammed notification bar at the top of your display. Luckily it’s pretty easy to gain a little more space by hiding the carrier name from the notification bar. Go to Settings > Apps & notifications > Notifications & status bar and toggle off Display carrier name. Besides all those optimizations, the EMUI 9 also brings to the table a few nifty tricks that let users go about their days a little bit smoother. Here we have prepared two examples: knock-to-screen capture and navigation dock. Many users have voiced that taking a screenshot isn’t the most convenient thing on the Android device. So for the latest iteration, Huawei included a new, novel way for users to easily capture what’s on their screen. By simply knocking the screen twice with a knuckle, a screenshot will be taken and saved into storage. The same method can also be used to take a scrolling screenshot – perfect for long, blog-like tabs on the browser – after knocking, quickly draw an “S” on a screen to capture the entire opened tab. In another stroke of genius, Huawei also implemented screen recording in this unique gesture; all users have to do is to tap two knuckles twice on the screen or pressing-and-holding the power button and volume up key to start recording the screen.